A day after the Pentagon announced that military and White House officials had agreed to indefinitely postpone President Donald J. Trump’s November parade of troops, planes and armored vehicles through the streets of Washington, he blamed city leaders for the procession’s demise. “The local politicians who run Washington, D.C. (poorly) know a windfall when they see it,” Trump said Friday morning on Twitter. "When asked to give us a price for holding a great celebratory military parade, they wanted a number so ridiculously high that I cancelled it. Never let someone hold you up! I will instead attend the big parade already scheduled at Andrews Air Force Base on a different date, (and) go to the Paris parade, celebrating the end of (World War I), on November 11th. Maybe we will do something next year in D.C. when the cost comes WAY DOWN. Now we can buy some more jet fighters! " It’s unclear how many fighters really could be purchased for the price of the president’s parade. Pentagon sources told reporters Thursday that the procession’s price tag had ballooned to $92 million, only $2.3 million less than the cost for delivery of one F-35A Lightning II fighter for the Air Force. A Block III F/A-18E/F Super Hornet purchased for the Navy between next year and 2023 is about $83.6 million. Trump’s words also didn’t square with the projections of Pentagon planners. They pegged the price for military aircraft flyovers, personnel and other support services for the Nov. 10 celebration at $50 million. 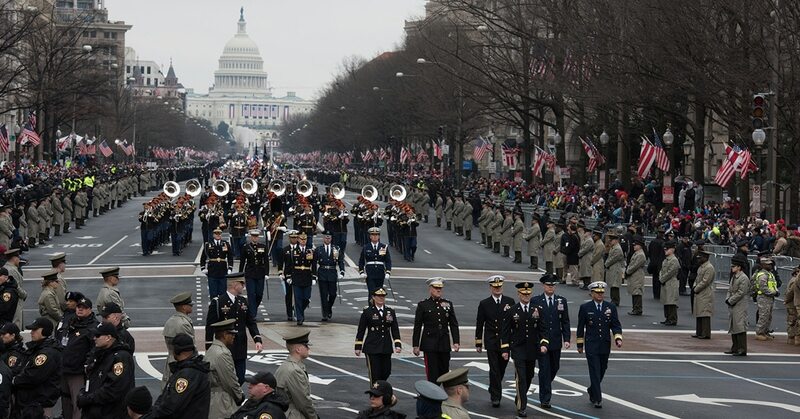 Non-military agencies would need an additional $42 million for other expenditures, mostly security along a parade route winding from the the White House to the Capitol. Washington, D.C.'s security and support costs comprised less than a quarter of the total bill, according to the mayor. “Yup, I’m Muriel Bowser, mayor of Washington DC, the local politician who finally got (through) to the reality star in the White House with the realities ($21.6M) of parades/events/demonstrations in Trump America (sad),” she wrote in a tweet taunting Trump. The price tag for the parade had ballooned to $92 million. Traveling with reporters in Bogota, Colombia on Friday, he said the Pentagon source who leaked the prices to the press was “probably smoking something that is legal in my state but not in most." Mattis is from the state of Washington, where recreational use of marijuana is legal. Regardless of the cost, troops in all the services privately grumbled about being dragooned to march in a procession during what traditionally has been a four-day weekend away from their military duties. Critics also had lambasted the administration for spending tens of millions of dollars on the November spectacle after Trump canceled military maneuvers with South Korea partly because they would cost “a tremendous amount of money," a sum the military later estimated at $14 million. Others had questioned whether the procession would resemble the military marches favored by dictators such as North Korea’s strongman Kim Jong Un, who told Trump during nuclear talks that he considered America’s war games with Seoul to be provocative. Although the American Legion and the left-leaning Vote Vets organization praised the White House and Pentagon decision to postpone the parade, most groups serving veterans remained quiet during the controversy. The ranking Democrat on the Senate Armed Services Committee, Jack Reed of Rhode Island, piled on. “Halting this costly idea is the right call. It would have diverted resources and manpower from core missions,” said Reed, a former U.S. Army Ranger, in a written statement emailed to Military Times. “I know President Trump really wants to lead a big military parade past his D.C. hotel, but a real leader wouldn’t put his own wishes above what’s best for our troops. Spending $100 million on this parade is beyond wasteful. Defense dollars would be better spent equipping our troops, caring for veterans, and enhancing national security. “The best way to honor our troops is to provide them with the resources they need and a strategy that is worthy of their sacrifice. This parade was more about President Trump’s whims than what’s best for our troops. Our military has enough duties and responsibilities on their plates already. “Democrats and Republicans must work together to ensure every tax dollar is wisely invested. I will continue demanding answers about the costs and potential impacts of this parade. It won’t go forward without careful analysis and cost justification. 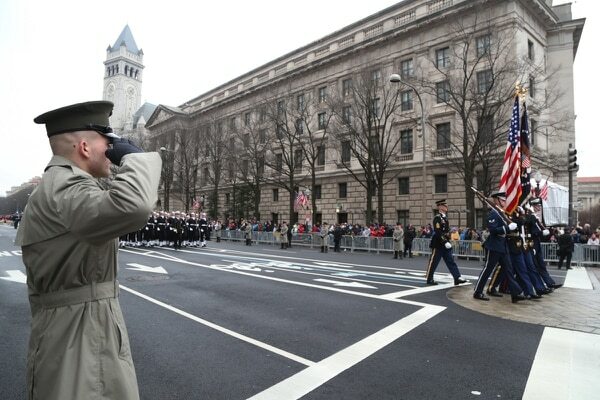 Reed has urged the Government Accountability Office to evaluate the costs of the parade.